The Greens: playing together for over 17 years, this trio is a WV music scene institution and continues to rock Appalachia and beyond! At all types of venues, they provide an undeniable fun time for music lovers, and have earned a reputation of delivering simply great songs for people. 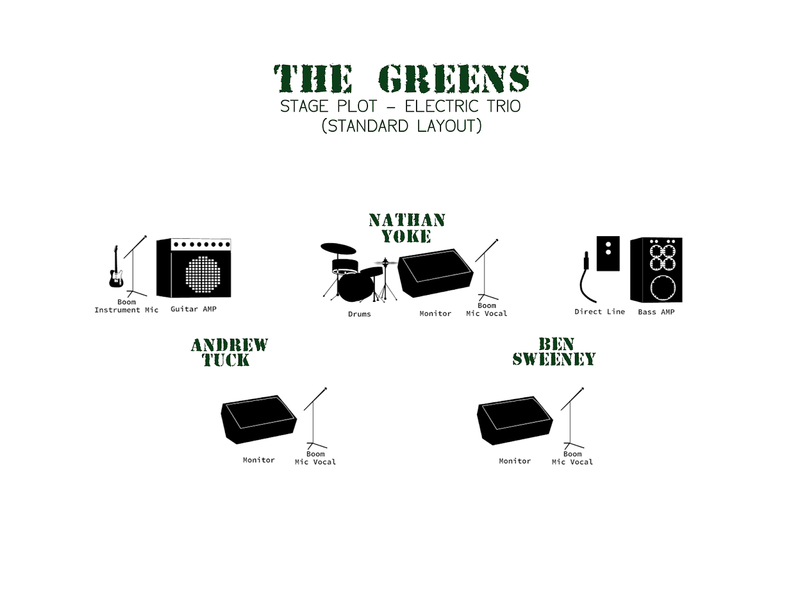 With Andrew Tuck (guitar/lead vocals) Ben Sweeney (bass/vocals) and Nathan Yoke (drums/vocals) this experienced and versatile outfit has played more than 100+ shows a year, but currently focuses on fewer better shows alongside scene development, music production, and multi-group collaborative efforts. 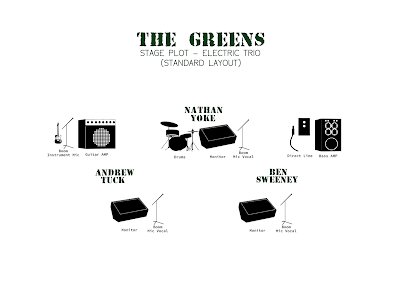 Composing original material that audiences can sing along with and dance to, The Greens guarantee phenomenal performances, getting the crowds into it and making the magic happen! An expanding and enthusiastic fan base is sure to grow whenever this band takes the stage. The Greens play the Blues and Rock and Soul and Funk and a little Country, and then mix it all together in a new unique way! How can music taste so delicious? !